E-glass, S-glass, splitcane bamboo and occasionally carbon. E-glass; deep flex, medium action, strong, smooth casting and still enough power to throw a line. S-Glass; faster, lighter, quick recovery. No super fast stiff carbon copy's. They still got the true glass feel. NO MORE CUSTOM ORDERS FOR THIS YEAR. And not planning for 2020. Will concentrate on developing and testing blanks. 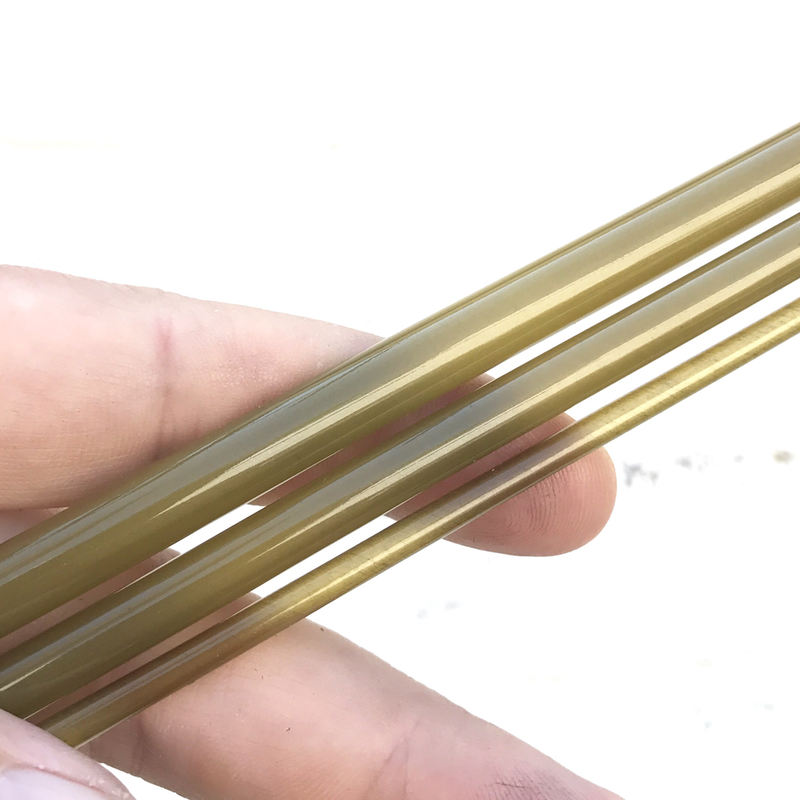 Finished rods for direct sale will show up on this site from time to time. ​Selection of blanks available for purchase. Between €60 and €200 depending on weight, length, construction and material. Contact me for actual price.